Congress is Ending the Shutdown and Turning the Lights Back On…Now What? Congress is set to reopen the government and many military families are breathing a sigh of relief…for now. The short-term funding bill that was passed will only fund the government through February 8. That means Congress has less than three weeks to pass an appropriations bill in order to avoid another government shutdown; essentially “kicking the can down the road”. In the meantime, it’s important to stay vigilant and informed. 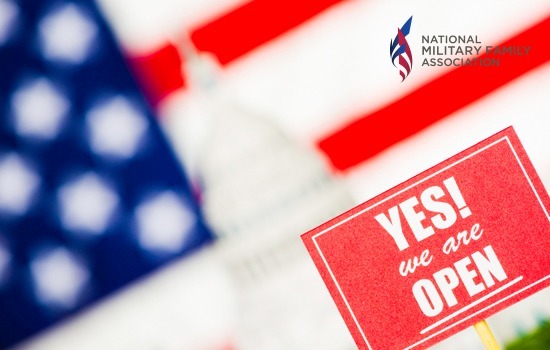 It’s better to be prepared by asking the question “What if?” than left holding the bag and asking “What now?” There are plenty of ways your military family might feel the effects of another government shutdown. Here are a few well-known concerns you might have, as well as some lesser-known scenarios you might encounter if Congress is unable to come to an agreement over the next few weeks. Military personnel get paid on the first and 15th of each month. Congress is set to vote again February 8, which is in between military pay periods. That buffer may help if Congress reaches another impasse in February; there will be a week or more before military pay is affected. 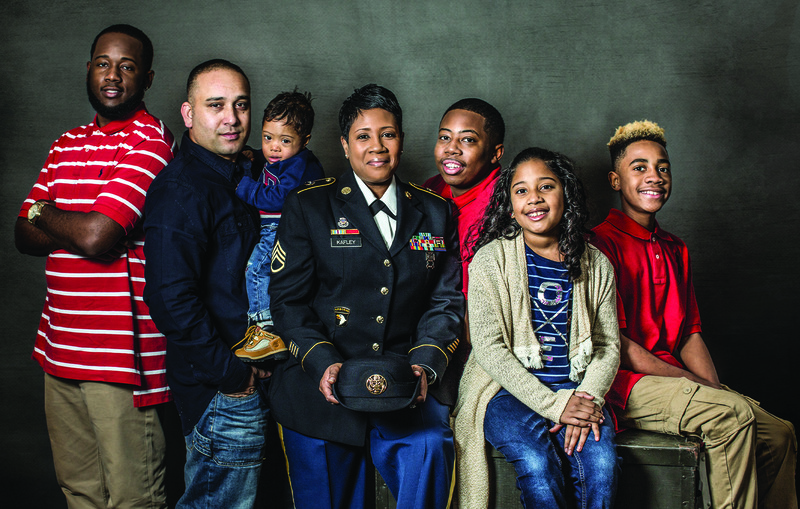 However, federal employees are paid on a different schedule, so military families in which the spouse is also a federal employee may see financial impacts sooner. Thankfully, several financial institutions have offered their support by advancing military pay, and in some cases the spouse’s pay as well. Thirty-eight commissaries in Europe, one in Puerto Rico and 28 in the Pacific were scheduled to remain open during the most recent shutdown, as were five stateside commissaries in remote areas. The remaining stateside commissaries, including those in Alaska and Hawaii, had started a shutdown process. Now that Congress has voted to reopen the government, those doors can remain open. However, now that we’ve seen the list, it might be smart to do your grocery shopping before February 8 so you don’t have to buy your food at your local grocery store. If your family is stationed in Hawaii and you run out of milk during a shutdown, you’ll pay twice as much than you would have at the commissary. The $100,000 death gratuity used to cover family expenses and funeral costs after a service member dies wouldn’t be paid during a shutdown. On January 20, two Army pilots were killed in an Apache helicopter accident in California. Their families weren’t scheduled to receive the death gratuity benefit because the government was shut down. Thankfully, the Fisher House stepped up to the plate, as they did in 2013, and offered to make those payments to the families of the fallen. Child Development Centers (CDC) operations were evaluated on a case-by-case basis. Contact your local installation CDC to see if they were scheduled to remain open. Dual-active military couples or civilian spouses who can’t go to work due to lack of childcare should use the next few weeks to find backup childcare should the government shut down again. For families getting ready to PCS, your travel may be put on hold if the government were to shut down again. There are more moves in January than any other time besides summer. If you’re getting ready to relocate, keep a close eye on what Congress is doing between now and February 8. If your scheduled PCS can’t happen due to a shutdown, have a back-up plan so you know where you’re sleeping at night. And ask your service member to stay in contact with their outgoing command. For more specific TRICARE information and to stay up to date on their government shutdown procedures, sign up for their email updates. As always, we’re monitoring this situation closely and gathering feedback to provide Congress with a closer look at how government shutdowns impact military families. Please let us know what’s happening in your local communities.